The real magic of Wapping's riverside Captain Kidd pub is outside on the L-shaped patio. The Thames is rather narrow here and so the action seems all that closer as the water laps against the moored ships and the setting sun is reflected off the mirror-like walls of nearby Canary Wharf. If you ever get the chance to be here when it's not busy, you'll be amazed with the tranquillity of it all - it really is a breathtaking place to enjoy some summer night pints. As a Samuel Smith establishment the choice in beers, lagers, ales, cider and wine is naturally rather limited, but prices are ridiculously low, making up for the lack of variety. Bar food is rather stodgy and simple (nothing costs more than £6) but if you want something a bit more upmarket, head upstairs to The Gallows restaurant. If the terrace gets too busy, do take care because there's nothing but a small, low wall separating customers from a dicey drop into the Thames. While The Captain Kidd does not seem like much from outside - there is but a dainty sign hanging above a doorway and a small courtyard to be traversed before you enter the threshold - do persist because the exposed brick warehouse-style interior is quite something, and a trip through to the riverside terrace is a must for anyone living in or visiting London - especially if you have passed the building before on a boat to Greenwich. The best pubs near London The Captain Kidd. The Captain Kidd clubs, bars, cabaret nights, casinos and interesting nightlife. 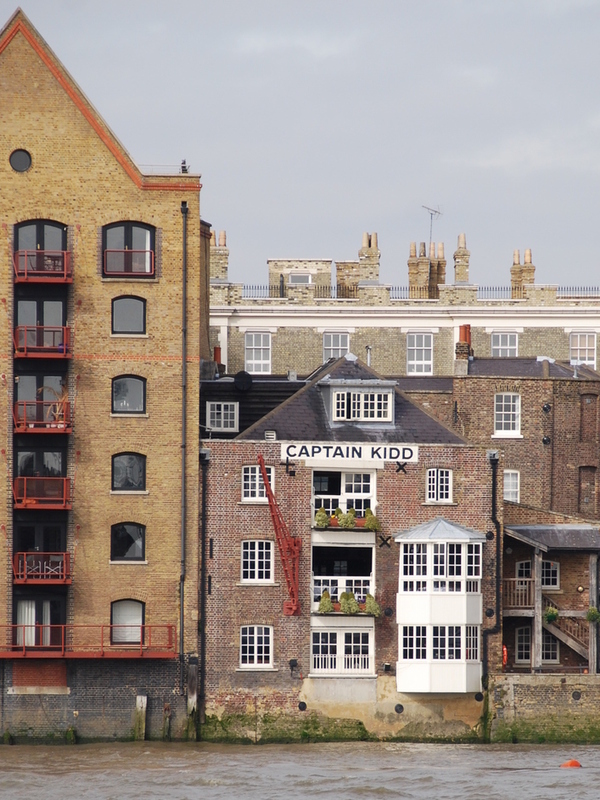 What are the best dining options near The Captain Kidd London? The Captain Kidd gyms, sporting activities, health & beauty and fitness. Where to have your meeting, conference, exhibition, private dining or training course near The Captain Kidd. From cheap budget places to stay to luxury 5 star suites see our special offers for The Captain Kidd hotels, including Holiday Inn London - Whitechapel from 94% off.